Rev. Rose Hudson-Wilkin leaves the spotlight of the Royal Wedding for the surroundings of Bristol Cathedral this Bank Holiday Monday. Queen’s Chaplain, and recent Royal Wedding participant, Rev Rose Hudson-Wilkin will appear on Bank Holiday Monday at Bristol Cathedral as part of a free event to commemorate the 200th anniversary of the birth of the great Abolitionist, Frederick Douglass. For many millions of people, last Saturday’s Royal Wedding would have brought Jamaican-born Rev. Rose Hudson-Wilkin into the spotlight for the first time, when she led the prayers in her official role as the Queen’s Chaplain. Rose Hudson-Wilkin is the most senior black female cleric in the Church of England. 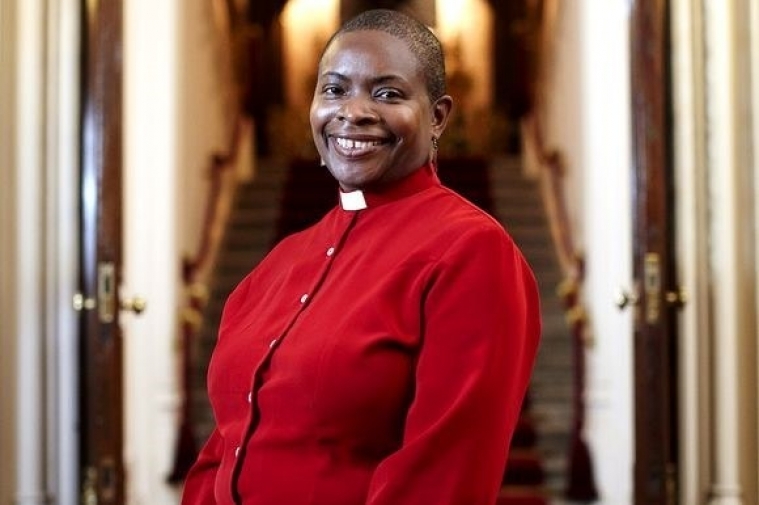 Appointed chaplain to the Queen in 2007 and chaplain to the Speaker of the House of Commons in 2010, she is a pioneering figure for women and people of colour who wish to serve and is a critic of what she has described as institutional forms of racism in the Church. On Monday 28 May, she joins a host of figures from stage, screen, politics and faith who will be channelling the words of Frederick Douglass in a walk through Bristol to mark his tour of the city in 1846. Young Vic Artistic Director, Kwame Kwei Armah, Rose Hudson-Wilkin, Hollywood actor Danny Sapani, Bristol City Poet Vanessa Kissule, Bristol Mayor Marvin Rees and Jazz legend Carleen Anderson will all be performing extracts of Douglass’ inspirational speeches at key sites across the city, with Rose Hudson-Wilkin appearing at Bristol Cathedral at 12noon. Adapted extracts from Douglass’ speeches will cover topics as wide ranging as religious hypocrisy, abolition, suffrage and his own struggle for acceptance, interwoven with contemporary references – his words as pertinent now as they were then. Full schedule for this FREE EVENT available here. Join the whole day’s events, or feel free to dip in and out throughout the day. Carleen Anderson will be performing at the Wills Memorial Building at 2pm on Mon 28 May. If you would like to experience the whole day, there will be a walking tour led by Edson Burton and Tom Morris, taking audience members to each location If you would like to join us for the full walking tour, please register on Eventbrite to reserve your map for the day, here. Each location is also a stand-alone event for anyone who would like to experience some parts of the day only.